Mennonites are known across the globe for their historic peace positions and, more recently, for proactive conflict transformation and peacebuilding activity. 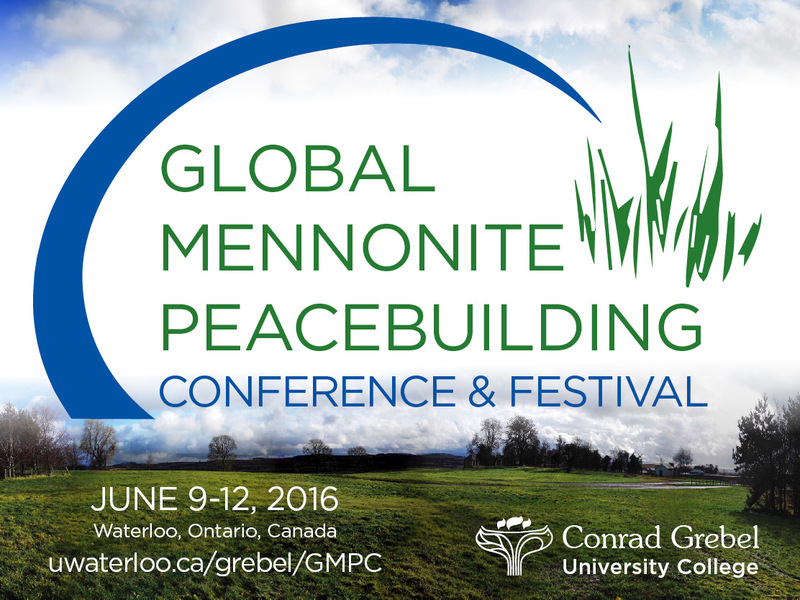 This conference and festival will bring together academics, practitioners, artists, and church workers from around the world, to dialogue and reflect on Mennonite peacebuilding accomplishments, failures, challenges, and opportunities in varied international settings, past and present. 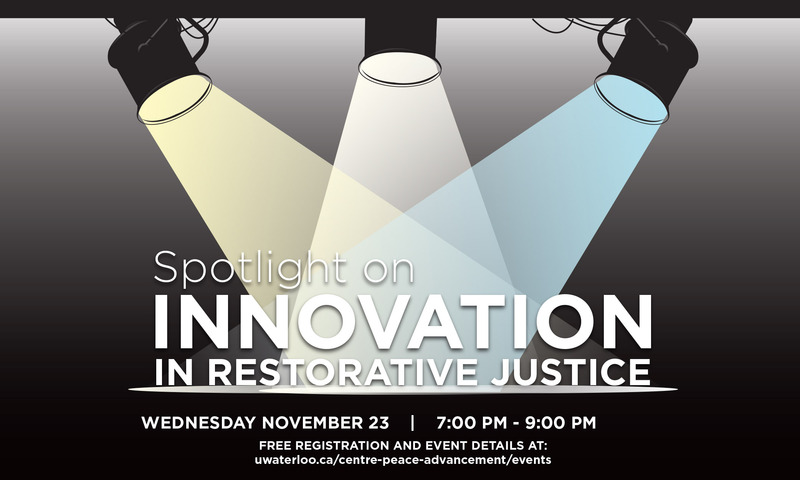 In celebration of Restorative Justice Week 2016, join the Kindred Credit Union Centre for Peace Advancement and Community Justice Initiatives in celebrating Restorative Justice Week 2016. Celebrate the publication of Reina Neufeldt's new book, Ethics for Peacebuilders: A Practical Guide (Peace and Security in the 21st Century Series, Rowman & Littlefield, 2016). Educators, parents, youth and community members are invited to join in the launch of The Ripple Effect Education (TREE), a peace education initiative based in the Epp Peace Incubator in the Kindred Credit Union Centre for Peace Advancement. 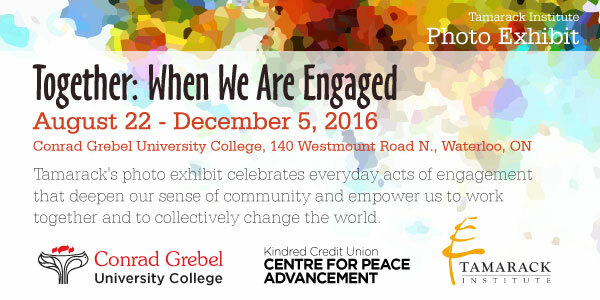 Whether you're a music buff or a move buff, a student or a community member, Grebel's Peace Week is offering you meaningful ways to acknowledge the 2016 International Day of Peace. This exhibit celebrates everyday acts that deepen our sense of community and empower us to collectively change the world for good. 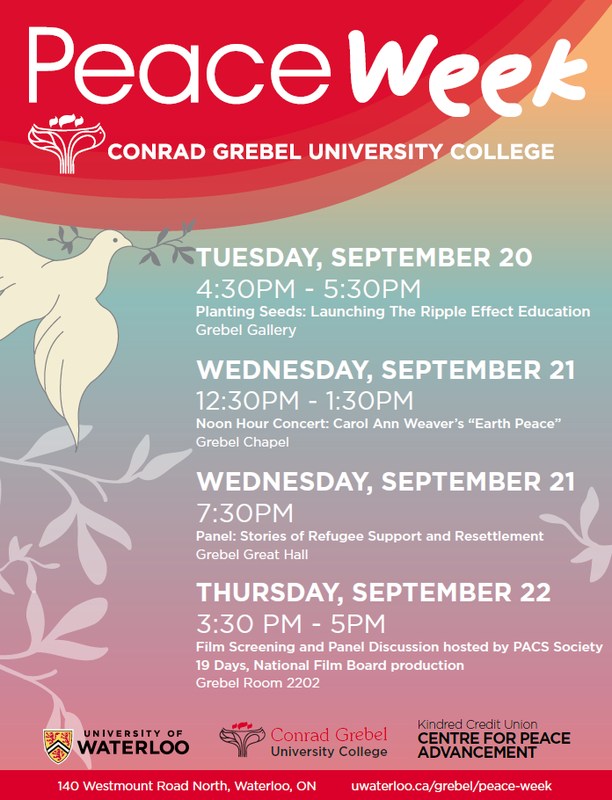 Join Project Ploughshares and the MSCU Centre for Peace Advancement in celebrating World Refugee Day on June 29th from 5 - 7 PM in the Grebel Gallery. Yellow Bellies is an historical drama that highlights the experiences and public response to Mennonite Conscientious Objectors during WWII. 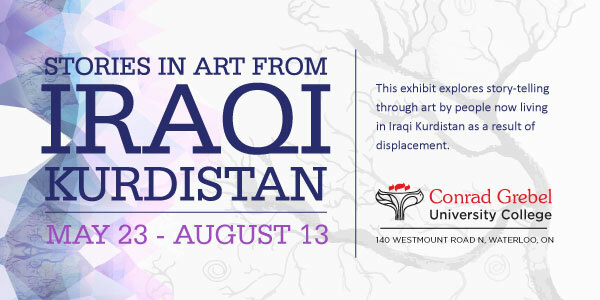 This exhibit explores story-telling through art by people now living in Iraqi Kurdistan as a result of displacement. Iraqi Kurdistan (northern Iraq) hosts a diverse group of people brought together in a very small geographical area. 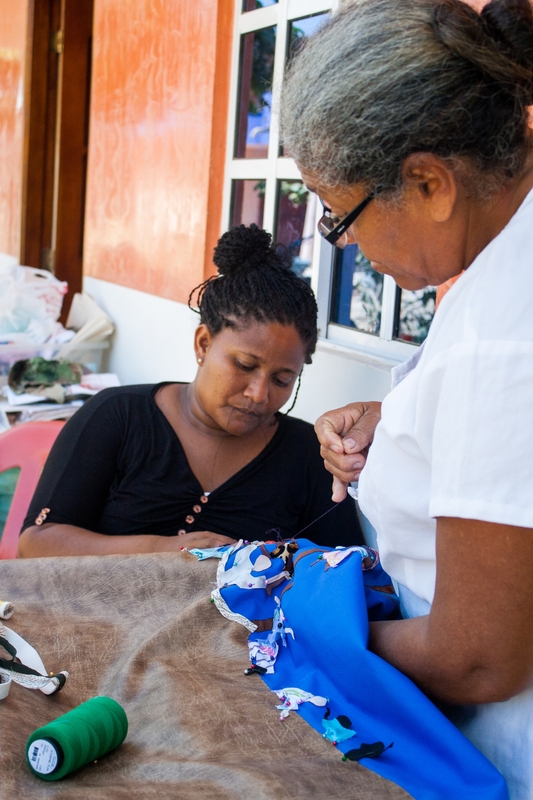 The MSCU Centre for Peace Advancement is excited to announce our Winter 2016 Grebel Gallery exhibit, As the women sew: Community quilts of Mampuján, Colombia.